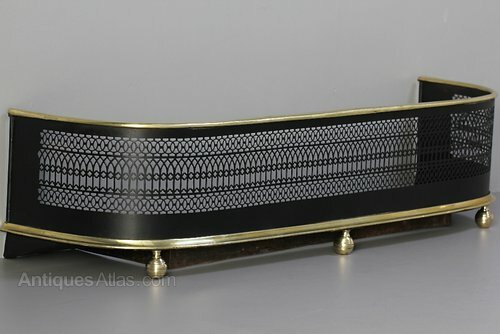 Description19th century cut steel Fire Fender, with brass trim and feet. Unusually, the interior has been designed to fit a specific raised fire-side hearth, but it would also sit well on a wide flat hearth. Circa 1830.